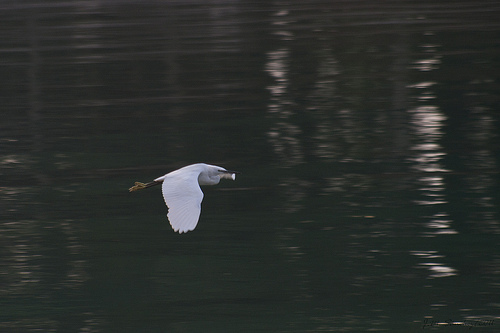 The Little Egret breeds in southern Europe and now even in England. It seems to be on the increase up north. 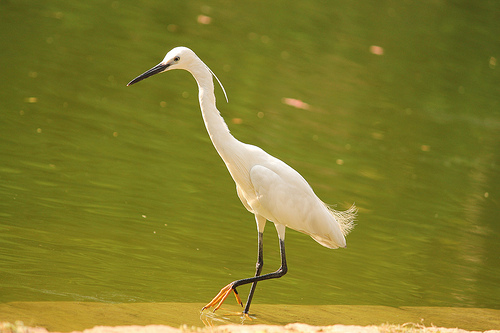 The Little Egret has yellow feet on black legs, the big brother has completely black legs. The beak is always black and slightly shorter than the beak of the Great Egret.